We're happy to announce that we showcased our next-gen compression and streaming technology at Vive X’s Demo Day on Wednesday! All 100+ attendees had the opportunity to try the demo for themselves. Investors, journalists, and other developers were able to experience Virtual Reality through an otherwise non-VR-ready 13-inch MacBook Pro. 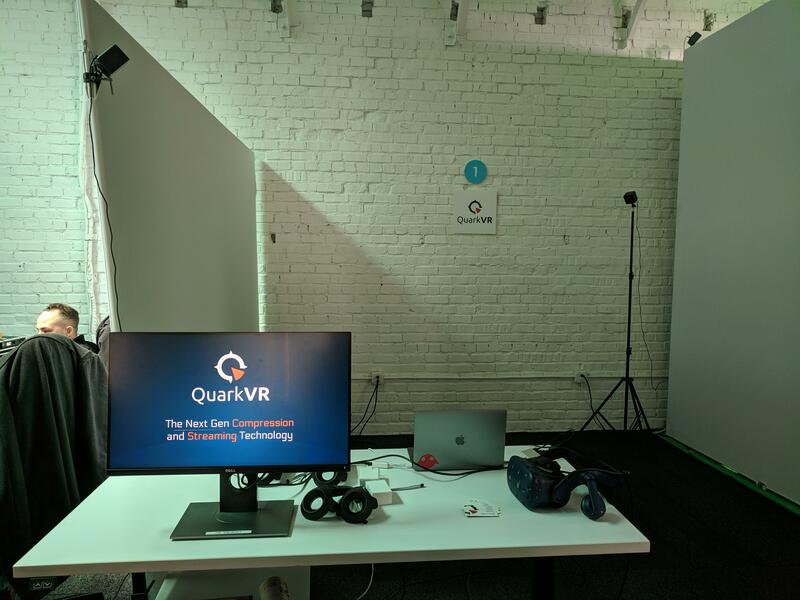 The demonstration proved that any computer can become VR-ready through QuarkVR: our solution that compresses and streams the frames from a centralized GPU (server) to any computer (client). The VR headset can be connected to client machine and the user is able to experience the full potential of the high-end VR platform without investing thousands of dollars. The solution’s optimal application is in the Enterprise sector: it can get a whole organization into Virtual Reality with minimal costs. As we've mentioned in the past, we're incredibly happy to be a part of Vive X’s third batch of selected companies working in the field of Virtual Reality. Aside from turning every computer into a VR-ready machine, previously we showed to investors our wireless HTC Vive prototype working over Wi-Fi using the same technology. And there is so much more to come! We believe our solution reveals new horizons for Augmented and Mixed Reality sectors as well. Also, we are now cooperating with OEMs on using QuarkVR for other Enterprise applications. Stay tuned for further demonstrations on both our wireless prototypes and the otherwise non-VR-ready platforms!